The apple-flavored tablet contains high absorbing zinc acetate. Zinc contributes to normal function of the immune system and protects cells from oxidative damage. 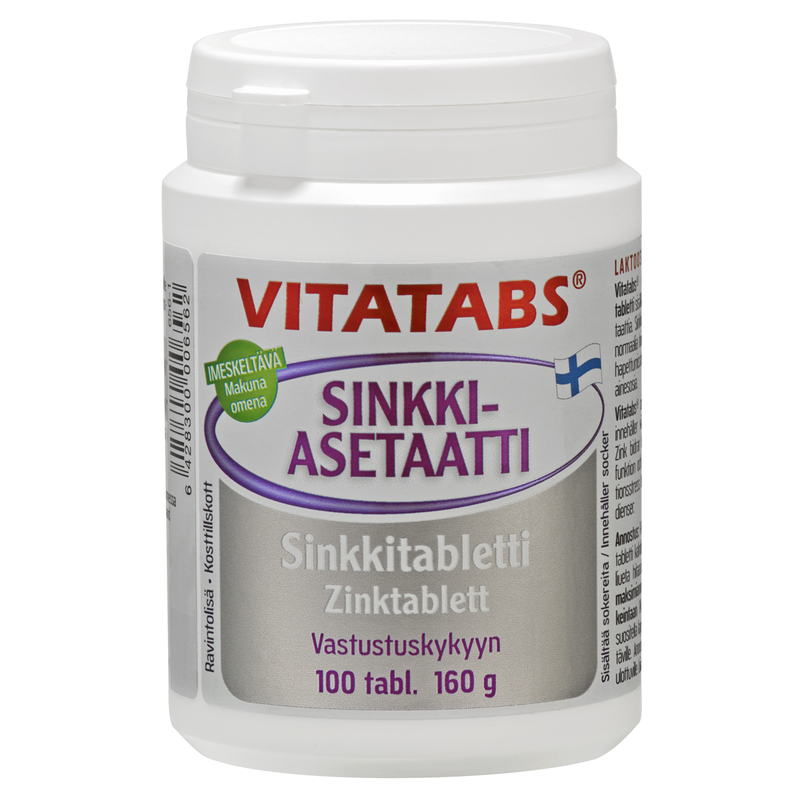 Vitatabs® Zinc Acetate is an apple-flavored zinc lozenge to alleviate the symptoms of common cold and to shorten its duration. The use of zinc acetate at doses in excess of 75 mg/day within 24 hours of the onset of symptoms has been shown to reduce the duration of cold symptoms. Body’s immune system maintains resistance and protects the body against different bacteria and viruses. Zinc is needed to develop, differentiate and maintain the immune system’s white blood cells or leukocytes. Zinc lozenges appear to influence the common cold through the release of free zinc ions into the oro-pharyngeal region. Zinc acetate has been proposed as the most ideal salt for zinc lozenges. The effect of zinc acetate is based on its ability to rapidly dissolve to the so-called ionic, active form. Slowly soluble zinc has an immediate effect on mouth, throat, and esophageal mucous membrane pathogens. Therefore, the tablets should be taken by sucking small amounts several times a day.